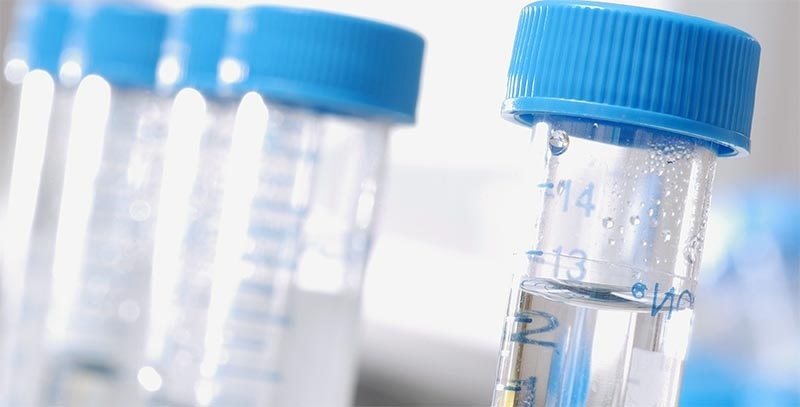 The European Parliamentary Committees on Health and Trade have each voted in recent weeks to adopt amendments to the proposed Special Protection Certificate (SPC) manufacturing waiver, an intellectual property exception for the EU generic and biosimilar industry. The amendments include provisions that push the waiver toward increasing EU generic and biosimilar industry competitiveness in EU markets, and improving access for EU patients to affordable medicines. The waiver and amendments still have several hurdles to go, including a vote by the Legal Affairs Committee planned for January. The amendments were voted on and adopted by the Environment, Health and Food Safety Committee (ENVI) on 27 November, and by the International Trade Committee (INTA) on 3 December. The amendments specifically would enable generic and biosimilar companies to manufacture and stockpile medicines for the EU market in preparation for distribution on the first day that SPC patent extensions expire. They also include provisions that would protect the commercially sensitive information of generic and biosimilar companies when notifying originator companies of production during SPC periods, and they clarify the timeline for the applicability of the wavier as 1 year after the legislation enters into force. The Health Committee (ENVI) amendment is available here [pdf], and the Trade Committee (INTA) amendment is available here [pdf]. The initial draft of the SPC manufacturing waiver was proposed by the European Commission on 28 May of this year, at the request of European Parliament in their 2016 Resolution. The next step for the waiver and the amendments to move forward is for them to be adopted by the Committee on Legal Affairs (JURI). A press officer from the Committee on Legal Affairs told Intellectual Property Watch that a vote on the proposed SPC manufacturing waiver and amendments is scheduled to take place 23-24 January 2019. If adopted by the Committee on Legal Affairs, the waiver and its amendments will then be put before a plenary session of EU Parliament for a vote. If adopted by the plenary, the amended waiver will enter into a stage of tripartite negotiation between the European Parliament, the European Commission and the European Council, with the option of multiple rounds of negotiation as needed, before a final agreement is reached. The result of these negotiations could take the form of a compromise, which includes the possibility that some of the provisions proposed in the amendments could be rolled back. The timeline for when these negotiations will take place is currently uncertain, the press officer said. The SPC manufacturing waiver is a regulation that was proposed by the European Commission at the request of European Parliament. The purpose of the waiver, as it was first drafted, is to promote the competitiveness of the EU generic and biosimilar industry in non-EU markets while maintaining the strong intellectual property protection of SPCs in the EU. The waiver would specifically enable EU generic and biosimilar companies to manufacture medicines for export during SPC periods of extended patent protection in the EU (IPW, IP & Health, 16 November 2018). Special protection certificates (SPCs) are a form of additional intellectual property protection that extend market exclusivity of original medicines for up to 5 years beyond the standard 20 years of a patent, to make up for the lapse between when a patent is granted and when a drug is approved for the market. The Commission explained in its proposal that an SPC manufacturing waiver would not interfere with the SPC market exclusivity of originator pharmaceutical companies in the EU. In order to ensure this, the Commission included anti-diversion safeguards as part of the waiver to prevent EU-manufactured generic and biosimilar medicines from entering EU markets until the SPCs expire. The amendments adopted by the Health and Trade Committees include provisions aimed at better preparing the EU generic and biosimilar industry to supply EU markets once SPCs expire. Specifically, the amendments would enable the manufacture and stockpiling of generics and biosimilars in the EU during SPC periods, in preparation for distribution in the EU on “day-1” when SPCs expire. While day-1 distribution was provided for “indirectly” in the initial draft of the SPC manufacturing waiver, the Health and Trade Committee amendments directly and explicitly would allow for the advanced production and stockpiling of medicines for day-1 distribution in the EU. The committees argue that this stockpiling provision will not weaken the intellectual property protection of SPCs. Medicines for Europe, an association of European generic and biosimilar companies, applauded the amendments of the Health and Trade Committees, saying in recent press releases that these amendments would lead to new job opportunities and provide improved access to medicines in the EU. Meanwhile, the European Federation of Pharmaceutical Industries and Associations (EFPIA), which represents originator pharmaceutical companies, rejected the amendments of the Health and Trade Committees, and called for strict enforcement of anti-diversion safeguards to prevent generics and biosimilars from entering the EU market before SPC expiry. No stockpiling of generic/biosimilar medicines while the innovative medicine is still under SPC protection. A timely, effective and transparent notification system. Effective labelling measures which prevent products manufactured under the manufacturing waiver for export from being re-directed back to the EU or being launched on the EU market before SPC expiry. "EU Committees Amend SPC Manufacturing Waiver, Push Access To Generics, Biosimilars" by Intellectual Property Watch is licensed under a Creative Commons Attribution-NonCommercial-ShareAlike 4.0 International License.